It’s been a bumpy ride for Bethlehem Catholic. 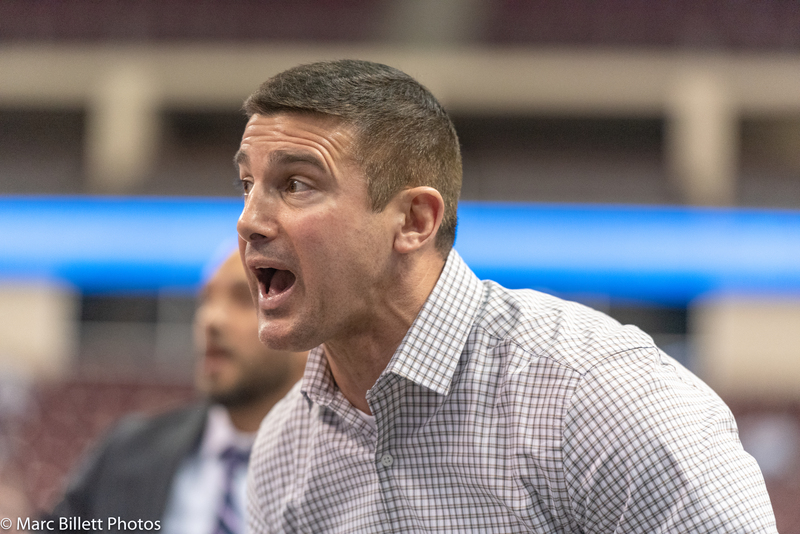 A mid-season coaching change, a defeat to Liberty, and some key wrestlers trying to find their way back into the line-up. It all amounted to an uncharacteristic journey but ultimately – the same outcome in Hershey. Head Coach Jeff Karam put the pieces together when he came back to lead the Golden Hawks on January 10th. 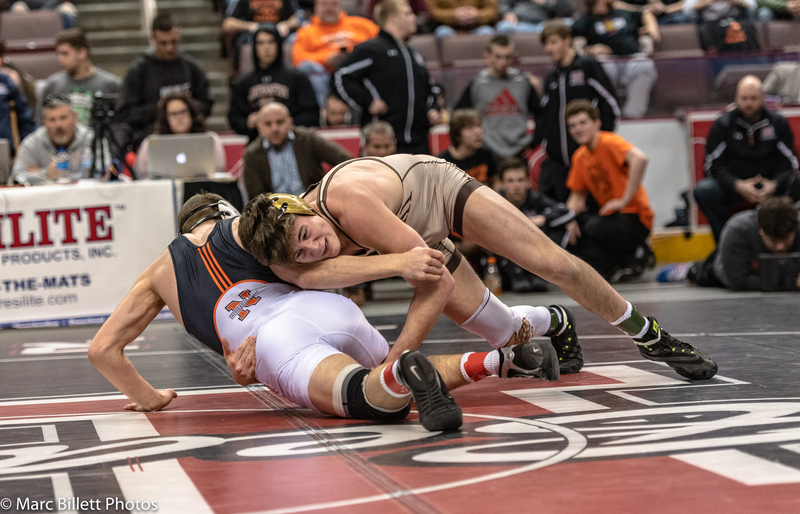 Now, less than a month later, he once again helped guide Bethlehem Catholic to a State record seven State Dual Team titles. And they did it over fellow District XI foe Northampton Area who themselves have had their share of excitement this season. There were several keys to BECAHI’s second straight title. #3 Herrmann, #6 Lackman, #1 Anderson, #2 Handlovic, and #1 Frinzi. 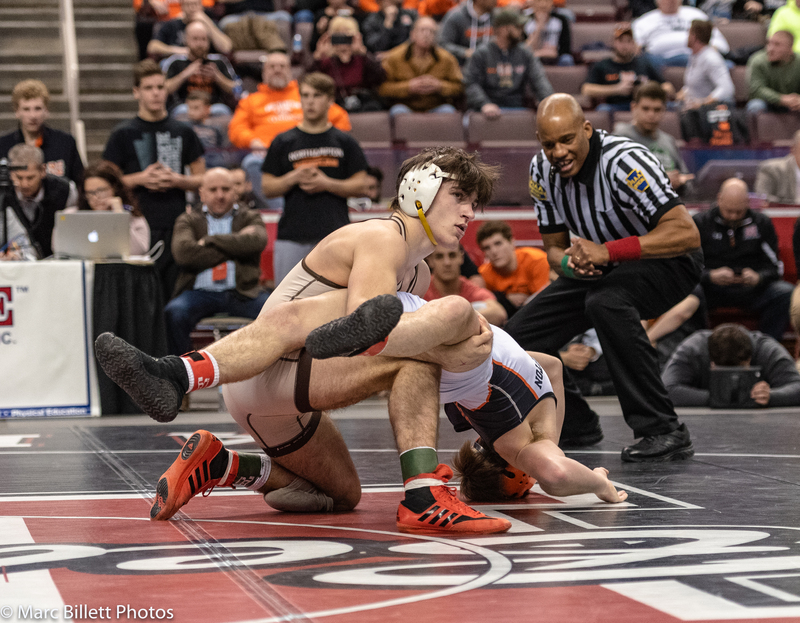 Those five wrestlers formed the core of a line-up, starting at 132 pounds and ending with 160 pounds, that saw them score a combined 81 team points this weekend in Hershey. Senior Nate Lackman has been in and out of the Golden Hawks line-up for the last three seasons and his return in the PIAA Team postseason was perfectly placed. He started at 120 pounds at the Ironman but hadn’t seen action until last week. Despite going (0-4) since his return, Nate saved the Golden Hawks several team points along the way in critical bouts. Likewise, junior Tavion Banks laced up his shoes for the first time last week and gave Jeff Karam an extra option at 182/195 pounds in addition to senior Henry Pavis. Banks’ return was also timed out perfectly as State ranked Joey Kurtz was held out of competition in Hershey at 195 pounds with an injury. Call it what you want but when Jeff Karam is around – good things seem to follow. He was planning on watching this season’s PIAA State Dual Team Tournament from a distance but instead he was in the thick of it.